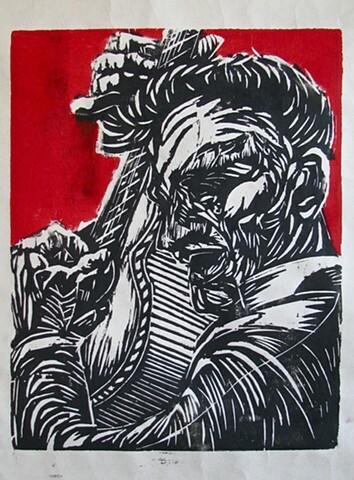 This was a very spontaneous woodcut. I sat with the block in my hand and just started to draw, and Johnny Cash appeared. Usually, I'll ponder for weeks, months, or years, but this was instantaneous. The best things always are!